The Code of Conduct Tribunal on Wednesday ordered the police and the Department of State Services to arrest the suspended Chief Justice of Nigeria, Justice Walter Onnoghen, and produce him before it on Friday. Also, the Coalition of United Political Parties has fixed a nationwide protest for Friday to protest the directive that Onnoghen should be arrested by security agents. 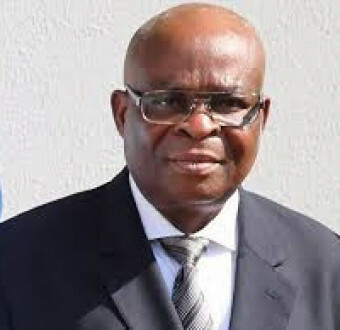 The tribunal chairman, Danladi Umar, made the order in a ruling on the prosecution’s application for the issuance of the arrest warrant on the grounds that Onnoghen had continued to snub the tribunal by refusing to obey the summons to answer to the charges of non-declaration of assets preferred against him by the Federal Government. However, as of the time of filing this report at about 5pm on Wednesday, The PUNCH learnt that the suspended CJN had not been arrested as he was still occupying his official residence in the Three Arms Zone. It was learnt that the CJN would avert any possibility of his arrest by reaching an agreement with the security agencies to voluntarily submit himself to the CCT on Friday.